Our list of the best things to do in L.A. this year includes a comedy show in an East Hollywood backyard, a beloved Hollywood actor’s Los Feliz music residency, and a racetrack that lets you drive the car of your dreams. The experimental troupe Automata, headquartered in a tiny storefront in Chinatown, mixes avant-garde puppetry with jaw-dropping technique to create experiences that defy categorization. Case in point: the nonprofit’s recent production of A Machine for Living, an eerie, captivating tale combining classic L.A. noir with freaky botany-based sci-fi. (Yeah, wrap your brain around that one.) Puppeteers Moira MacDonald and Molly Allis are known to rig lighting, shoot film, and manipulate their wooden Art Brut puppets, crafting an experience that is part outsider theater, part live cinema, and fully mind-boggling. All of which is to say it’s anything but child’s play. The one thing Maslow forgot to include on his eponymous hierarchy was the human need for speed. It’s an itch best scratched at Racer’s Edge, where, for only $23, you can do like Baby Driver during an indoor 16-lap electric go-kart race. Drift hairpin turns and gun it for the finish line while keeping an eye on the giant wall- mounted scoreboard (dip below a 20-second lap time, and you’ll earn the right to brag). Fridays and Saturdays get crowded, but rightfully so: Some weekend races take place under black lights. 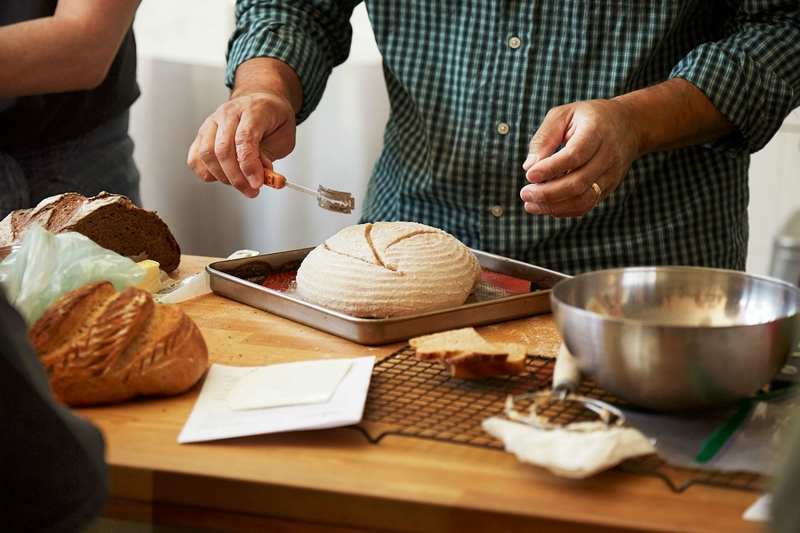 While the truly devoted might enroll in an intensive (and, at $225, pricey) breadmaking master class at the Gourmandise School, the best bet for the casual home baker is the $95 sourdough workshop at the King’s Roost. Founder Roe Sie introduces wannabe Nancy Silvertons to the importance of fresh-milled whole grains, dishes up deets on the fraught history of wheat, and provides a thorough hands-on demo of the bread-making process. You’ll go home with a yeast starter and a ready-to-bake loaf, plus all the know-how you need to begin a weekly sourdough routine. Legendary venues like the Laugh Factory and the Comedy Store have their merits, but some of L.A.’s most innovative stand-up is secreted away in pizza parlors, bookstores, and bowling alleys. Take a swig of alfresco humor at Brew Haha, a monthly backyard showcase that doubles as a drinking game. Superstrong punch and carefully selected comics keep the laughs flowing beneath strings of glowing lights, but sets by recognizable names like Liza Treyger, Jermaine Fowler, and Rory Scovel mean the tiny space gets crowded fast. Grab a snack from the food truck out front, and hop in line early if you can. Cycling can be one of the safest forms of urban transportation—provided you know what you’re doing. That’s where Metro’s Bicycle Education Safety Training comes in. The highly accessible series of free biking classes covers the essentials, from practical handling skills to general rules of the road. Four courses are offered to riders of varying levels of expertise, most beginning with 30 minutes of off-bike instruction followed by a 45-minute group ride. Folks usually show up with their own wheels (classes are held all over the city), but Metro has a handful of bikes to borrow if you register in advance. Get out of Dodge for a gals weekend in Palm Springs, where there’s more than swan floaties to keep your group occupied. Book a four-hour sunset excursion to Joshua Tree National Park with Adventure Hummer Tours ($149), and a driver will show up at your Airbnb or hotel in an open-air Humvee outfitted with nine stadium-style seats. (It’s BYOB, so pack some rosé for the ride.) At the park, you’ll see flora, fauna, and rock formations to rival even the hardest abs at Vegas’s Magic Mike Live. Those looking to live out their Heath Ceramics dreams but lacking the funds can make their own dinnerware at Echo Ceramics. Four-week “all-you-can-create” beginner classes are ideal for throwing your first bowl or firing that sculpture you’ve always wanted to make ($165). If you already have experience with clay, get down and dirty (or dirtier) during the six-week hand-building and surface-decorating class, which covers glazing techniques and various embellishment methods ($280). Enrollment is limited, meaning there’s plenty of one-on-one time with the studio’s cadre of knowledgeable instructors. If you want to spend time with goats—the “It” animal of 2018, if Instagram is to be believed—there’s a less shticky outlet than yoga. 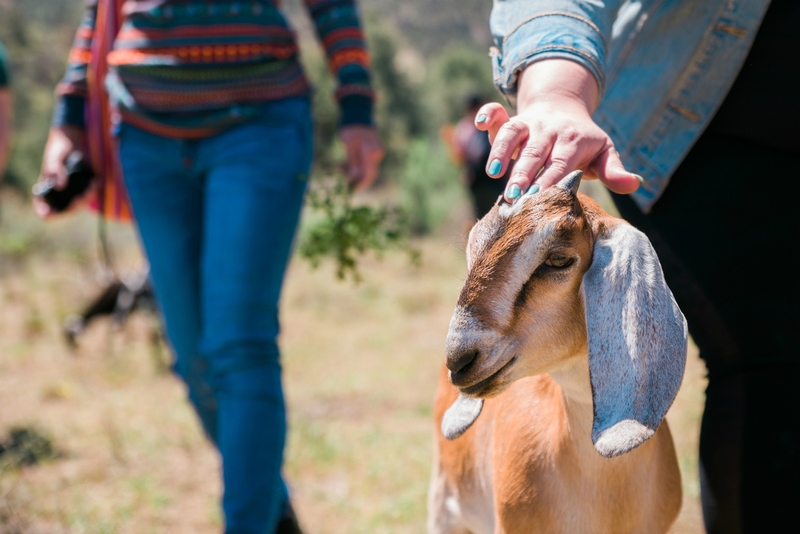 Try the Goat Hike at Angeles Crest Creamery, where a herd of 70 goats guides you on your path. Follow the little guys along the northeast edge of the Angeles National Forest as they hoof (and munch) their way through sagebrush-dotted hills; and yes, you can pause to pet, hug, and snap selfies with them en route. At first, Pause Float Studio’s sensory deprivation pods might have you feeling like that bald woman in Minority Report. But soon you’ll slip into serenity, thanks to a guided meditation that gradually fades to total silence (and blackness). As you recline in the saltwater-filled tank, the treatment ($69) allows your muscles to loosen up while also dropping your brain into a deeply relaxed theta state (that’s where you tend to hang out during REM sleep). Once you’re done, sip a cup of hot ginger-turmeric tea in the post-float lounge before re-entering the world feeling totally restored. North Hills Native Tommy Gelinas has spent 17 years amassing the goodies on display in the Valley Relics Museum, which is exactly what it sounds like: a revolving trove of 15,000-plus hyperlocal artifacts, ranging from vintage neon signage to restaurant ashtrays to Lucille Ball’s gloves. Crammed into a Chatsworth business park unit, the collection is a magical middle finger to this city’s habit of demolishing its history. 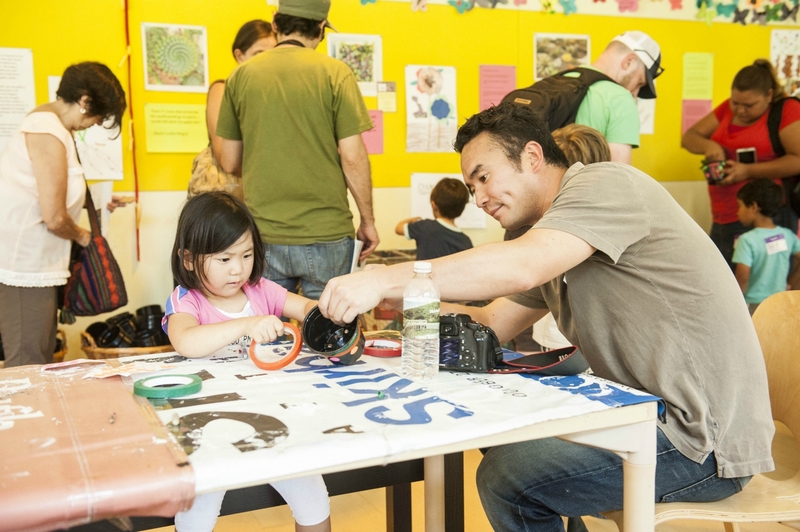 The Skirball Center’s exhibitions are guaranteed to get your creative juices flowing, so put the mojo to good use in the museum’s Family Art Studio. The bright, colorful space is marketed to kiddos, what with the low tables and a toddler-friendly play nook outfitted with books, toys, and beanbag chairs. Staff and volunteers offer as much or as little hand-holding as your future Picasso wants. At most museums, photography exhibitions come and go. But the Annenberg Space for Photography is all pictures, all the time. The gallery has hosted myriad eye-popping shows—one highlighting the work of minority groups, another honoring the legendary Helmut Newton—and often incorporates video elements. (In one case, the Annenberg commissioned a documentary, produced by ArcLight, as part of a show about country music performers). The center also offers extensive ancillary programming, including workshops, portfolio reviews, lecture series, and panel discussions. Nearly every Wednesday that he isn’t off defending us from dinosaurs or getting twee with Wes Anderson, Jeff Goldblum plays piano at Rockwell Table & Stage backed by his jazz band, the Mildred Snitzer Orchestra. He peppers ace improvisatory sets of standards like “Summertime” with saucy banter (he is agnostically flirty), parlor games (six degrees of him), and crowd work (he may very well tell you which celebrity you are a younger, more attractive version of). Arrive early to soak up the disarmingly charming man as he dazzles the cozy room; stay till the end of the two-hour set, and he’ll snap a selfie with you. L.A.’s museums host some of the smartest film series in the city, from the originally scored classics at LACMA’s Bring the Noise to the Kahlil Joseph and Maori Holmes-curated flicks that screen in the Underground Museum’s garden each summer. But it’s the Hammer’s Black Book screenings that stand out. Led by CalArts professor Tisa Bryant and writer Ernest Hardy, the long-running event portrays and reflects on the black experience through multimedia conversations and film. Don’t miss a showing of Sounder (August 7), the 1972 Oscar nominee about Depression-era sharecroppers. Up-and-coming jazz players—some of whom are destined to appear on a future Kendrick Lamar album—are plentiful at the Blue Whale and ETA cocktail bar. And marquee artists often perform at Hollywood’s Catalina Jazz Club. But for top-notch talent with a meal to match, Vibrato Grill Jazz is the primo supper club experience. The Bel-Air hideout is owned by Tijuana Brass maestro and eight-time Grammy winner Herb Alpert, who books a stellar bill; sip Japanese whiskey and dine on tender filet mignon served with blistered shishito peppers while first-rate musicians stop by to jam. Big-name authors like Cheryl Strayed and Chuck Klosterman read at Skylight Books and at the Central Library’s excellent Aloud series. For something a bit more under-the-radar, try DTLA’s Hard to Read. The gathering sets itself apart by booking writers, artists, actors, and filmmakers on the rise. Based in the Standard hotel and usually centered on an abstract theme (past iterations have explored gossip and masculinity), the operation is a modern take on the literary salons of yore but with a hipster twist. Not to be alarmist or anything, but the big one is coming. Learn how to fend for yourself with Community Emergency Response Team training, an all-risk, all-hazard program offered by the city. Over seven weeks, firefighters teach everything from how to put out a kitchen grease fire to the dos and don’ts of entering an earth- quake-damaged building. Classes crop up frequently across the city, so enrollment’s a breeze; complete the course and you’ll get a fancy certificate signed by the mayor. 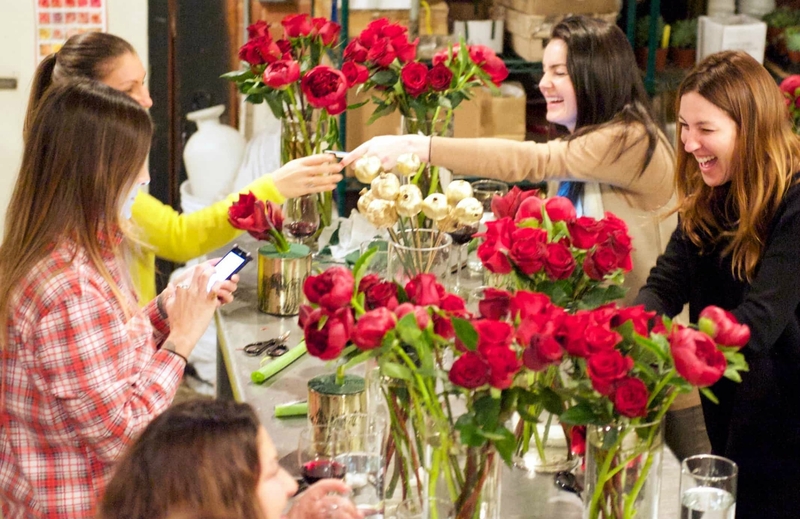 Trick people into thinking you’re a regular Martha Stewart at Floral Art, where owner Jennifer McGarigle offers monthly group classes in arranging and design ($150). Each session focuses on seasonal blooms (the August 16 class highlights lavender and dahlias; on September 13 it’s all about lisianthuses and garden roses). McGarigle provides everything you need— vases, floral foam, flower shears, and, of course, the buds—and gives you step-by-step instructions for crafting a stunning bouquet. She’ll even show you how to work your bounty into tablescapes or smaller arrangements. Get your steps in while stockpiling L.A. trivia on a monthly first-Sunday hike with Los Angeles Times reporter and Secret Stairs author Charles Fleming. What began as an effort to map the city’s hundreds of hidden stairways has morphed into hikes that roam all manner of neighborhoods, from El Sereno to the Palisades. Drawing upwards of 100 people, treks take you past Neutra homes and the original Batcave, filming locations from The Long Goodbye, and the former haunts of literary giants. Near Ocean Front Walk and Pacific Terrace, Santa Monica. You can catch Cirque du Soleil-style acrobatics all over town, from the tiny tumblers at Inglewood youth academy Le Petit Cirque to the adult aerialists at Scot Nery’s Boobie Trap. Even so, you’ll find more variety and camaraderie on a slice of grass between Santa Monica Pier and Muscle Beach. Established in 1939, the crew, often called Acro-Green, practices every Sunday at 2 p.m. Grab some coffee and a seat on a bench to marvel at pros practicing contortion, balancing acts, and jaw-dropping feats of gymnastics. Hit ludicrous speeds without fear of retribution from the LAPD at the Porsche Experience Center. 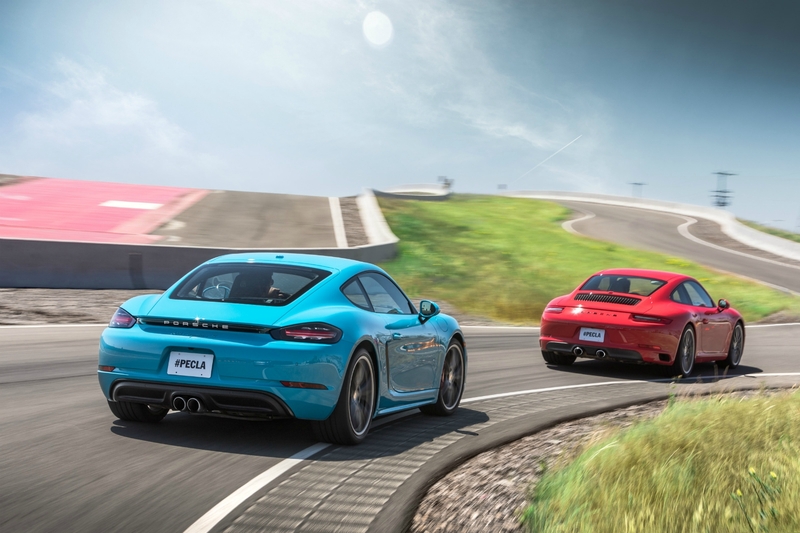 Daredevils can slide into a feat of German engineering (you’re behind the wheel; an instructor sits shotgun) for a 90-minute ride where you’ll take a Cayenne off-roading ($395) or feel the g-forces as you take curves in a 911 Turbo ($875). The nearly four-mile course includes an acceleration straight, a hydraulic kick plate (useful for controlling a zigzagging car), and an icy hill. Don’t skip the pretzel bread and Porsche-shaped pats of butter at Restaurant 917, which overlooks the track and the center’s nearly 78-car fleet. Just make sure to scarf after you drive. To skewer a movie as beloved as Home Alone while also stoking nostalgia requires skill. To do so with soaring renditions of hits from the past 30 years of pop music—well, that requires the cast and crew of Unauthorized Musical Parody Of. The ribald, campy, and queer series sends up flicks as varied as Scream and The Big Lebowski at Rockwell Table & Stage and takes well-timed jabs at celebs and politics. There’s absolutely no regard for the fourth wall with this group; be prepared to shout lines or even share your mimosa with a thirsty actor. The coast is loaded with plenty of scenic hikes, but Mugu Peak rises above the rest—literally—with a triple threat of oceanside peak bagging, wildflower viewing, and relative solitude. Choose from two approaches: the no-nonsense Chumash Trail, which grinds up a steep bluff, or a longer but more moderate jaunt from the Ray Miller Trailhead in La Jolla Canyon. Either way, once on top, you’re greeted with knockout 360-degree views that include the distant Channel Islands, the grassy expanse of La Jolla Valley, and the ridge of Boney Mountain, which looks downright vertebral from this angle. Leaving the house with a new baby is a win for any parent. Leaving the house and getting a workout in is true wizardry. 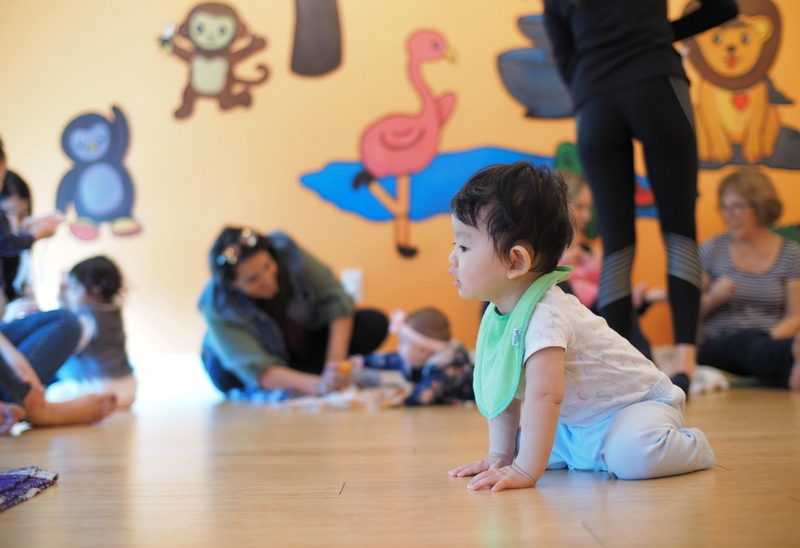 Pack up the diaper bag and cruise over to Zooga Yoga, whose Zen & Fit classes cater to adults with babies six weeks old to sitting-up. The sessions are crying- and feeding-friendly, and the instructor incorporates your little one into the moves. (Who needs ten-pound barbells when you have a ten-pound human at your disposal?) Soft blankets, essential oils, and music—yes, there is singing—make the class a standout. Is there anything more life-affirming than belting out you favorite ABBA jam in front of a room of supportive and inebriated strangers? Skip the private room setup and throw it back to a classic karaoke experience at Koreatown’s R Bar. You’ll need a password to enter the speakeasy-ish establishment (procurable via its Instagram account, @rbarktown), but once you’re in you’ll be rewarded with performances by a surprisingly talented mix of regulars and newbies. For liquid courage, sip on a Little Red Corvette; the drink was named in honor of the Purple One himself, who blessed the bar with his presence years ago. 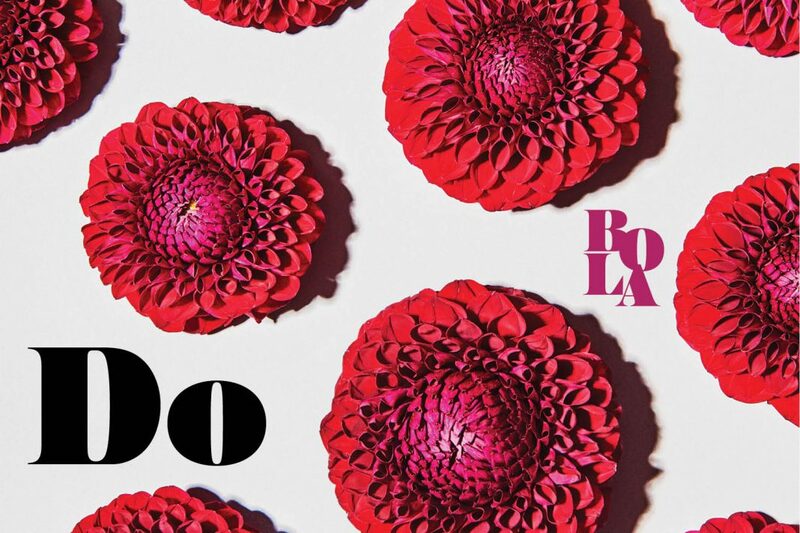 Show Us Your Best of L.A. on Instagram!